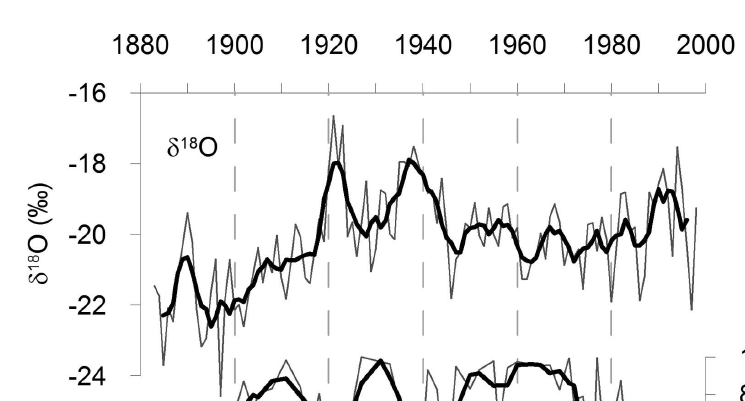 We do see a warming over the past 4 decades. Since the El Nino-induced peak of 2016, the temperature has fallen gradually. The coldest temperatures were recorded at the end of the 1980s and early 1990s. At around 1980 similar temperatures as those of today were measured. Unfortunately there is no satellite data for the time before 1979, and so not even a full 60-year ocean cycle is covered, and thus this makes it really difficult to assign warming to man or to natural causes over the recent decades. Russian Arctic just as warm in the 1930s as today! A part of the warming by the way, has to do with measures that keep the air clean in Europe. The anthropogenic sulfate particle kept the Arctic cool for many years, so reports that University of Stockholm (via Science Daily). Should we get back to being dirty for reasons of climate change? […] The drastic cut in sulfate particle emissions in Europe partly explains the amplified Arctic warming since the 1980s, shows a new study published in Nature Geoscience. The team, which consists of scientists from Stockholm University and the Norwegian Meteorological Institute, say that their surprising finding highlights an even more urgent need for reducing greenhouse gas emissions to mitigate Arctic climate change. Human activities, such as industrial production, transport, power generation, and wood burning emit large amounts of tiny pollutant particles containing, for example, soot and sulfate, into the atmosphere. High airborne amounts of these particles, also known as aerosol particles, cause about 400,000 premature deaths every year in Europe and can be transported over long distances. Aerosol particles have different sizes, as well as chemical and physical properties, all of which determine their climate effects. But also later alterations to the measurement data make the Arctic look warmer today than it actually is (see here and here). A nice summary of climate change in the Arctic can be found at Judith Curry’s site.